MUMBAI/ PUNE : The Bombay High Court ordered the Maharashtra government to appoint a senior IAS officer to inquire whether Regional Transport Offices (RTOs) follow rules when issuing or renewing fitness certificates for vehicles. A division bench of justices A S Oka and A K Menon gave the order while hearing a PIL filed by Shrikant Karve, who had raised the issue of non-compliance of rules of the Motor Vehicles Act by RTOs while inspecting vehicles for issuing fitness certificates. During the last hearing, the court had rapped the state government for not acting on its previous orders on the issue. "All the orders passed by this court in the past was done keeping in mind road safety and safety of citizens. It is mandated in law that fitness checks are done scrupulously. However, there has been a complete failure on part of the government in implementing our orders," Justice Oka said. "We hope the minister of the concerned department ensures that the orders are complied with," he added. "We direct the chief secretary to appoint a senior ranking IAS officers to look into compliance of all the orders passed by this court and also the process followed by RTOs while issuing fitness certificates," the court said. The bench said the IAS officer shall also inquire into an incident where an officer posted at a border post in Solapur was coming to the RTO in Pune, around 250 km away, and issuing fitness certificates without any authority. 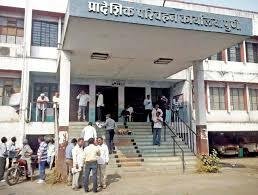 "We do not want a repeat of the Pune RTO incident. We want immediate steps to be taken to ensure that only officers authorised to carry out checks on vehicles at a particular RTO to do so and issue fitness certificates." The court also ordered the government to pay a sum of Rs 1 lakh to petitioner Karve. "The petitioner must have incurred huge expenditure while proceeding with this petition and obtaining information," it noted. The HC directed the government to file an affidavit on the issue by December 16 and posted the matter for further hearing on December 20.